The Volvo XC70 is an impressive versatile wagon. It's smooth, stable, secure, fast and very comfortable on the open highway. Most models are all-wheel drive, which makes the XC70 a good choice for foul weather, be it torrential rain, deep snow, or glare ice. But it's on primitive roads where the Volvo XC70 shines. It handles gravel and dirt roads quickly and ably, with stable, predictable handling and excellent traction. We think it's the most compelling car in the Volvo lineup. If you've ever wanted a Volvo, this is the one to get. 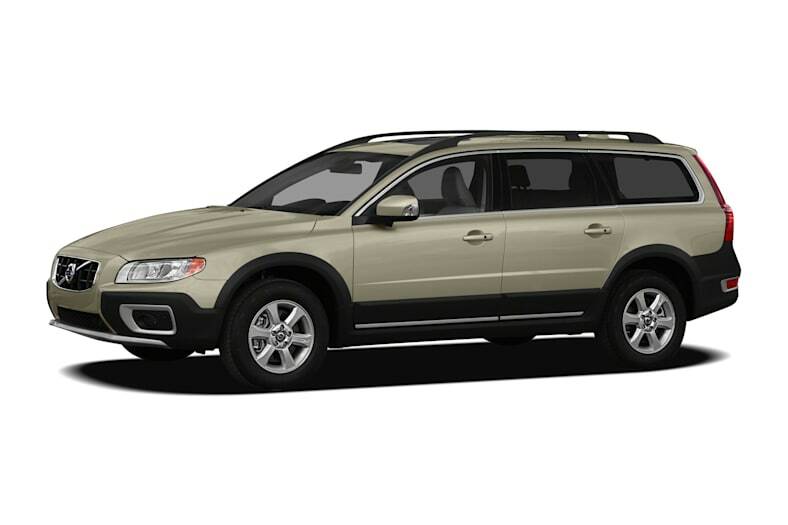 The Volvo XC70 3.2 uses a 3.2-liter inline-6 making 240 horsepower and 236 pound-feet of torque, while the XC70 T6 AWD uses a 3.0-liter turbocharged inline-6 to make 300 horsepower and 325 pound-feet (with another 25 hp and 29 lb-ft optional). The turbocharged T6 engine was named one of Ward's Ten Best engines for 2011, a prestigious award. It's the first Volvo engine to ever win. The XC70 3.2 is front-wheel drive. That should appeal to flatlanders in warm weather, for example Texans and Floridians. The T6 is all-wheel drive. It's prepared for serious travel through unpaved wilderness areas. It comes with full-time all-wheel drive, and its suspension is raised to increase both movement range and ground clearance. Dent-resistant lower body cladding and protective skid plates underneath protect it from damage. Hill Descent Control makes ascending steep, slippery trails easier and safer. Either XC70 model is engineered for serious gear hauling rather than posing at the mall. Its cargo capacity of 72.1 cubic feet is on par with mid-size SUVs, slightly better than Subaru Outback's 71.3 cubic feet. The seating arrangement is flexible and the cargo compartment has tie-downs and other useful accessories. With the rear seats folded, the XC70's flat floor and low lift-over height make loading bulky cargo easier than with many SUVs. It's rated to tow up to 3,300 pounds, enough for a small boat or camper or a couple of snowmobiles. Inside is one of Volvo's best interiors: Scandinavian in style and elegantly understated. It's easy to master its multitude of controls, and it's simpler and more efficient than many of its European luxury competitors.